Hank Williams' New Box Set On World Cafe : World Cafe Hank Williams owned one of the greatest voices in the history of recording. Hear his daughter Jett Williams and biographer Colin Escott discuss his legacy and the new box set of previously unreleased Hank Williams recordings. A new Hank Williams' box set, The Complete Mother's Best Recordings, collects 15 discs of Williams' radio appearances. Hank Williams is one of the greatest country star's of all-time. His "million-dollar" voice brought him 11 No. 1 hits within his first five years. Williams died young, at age 29 in 1953, but he lived long enough to make an indelible mark on American music. 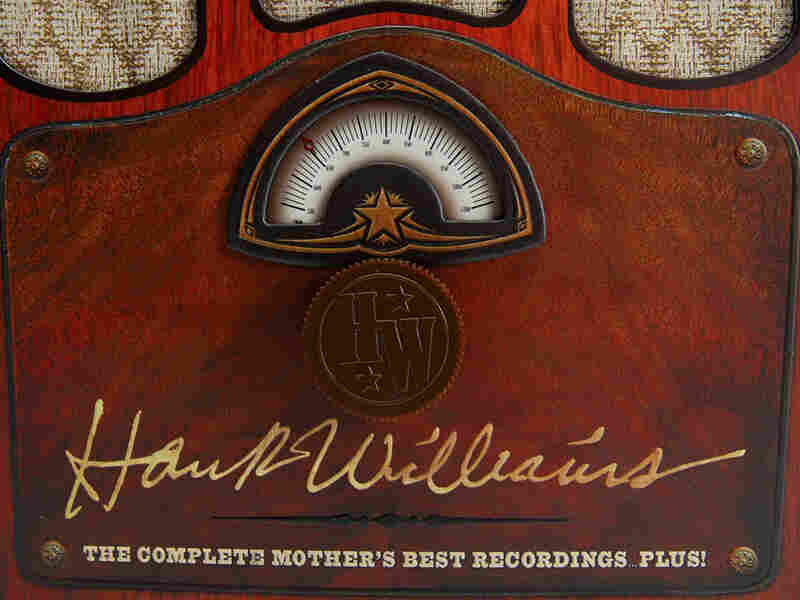 Time-Life has assembled about 18 hours of Williams' "Mother's Best" radio show performances, and released it in September. Today on World Cafe, Williams' daughter, the musician Jett Williams, and official biographer Colin Escott discuss shed light on the compilation. Jett talks about getting to know her father through his music and her subsequent fight to protect his work, including the "Mother's Best" recordings.